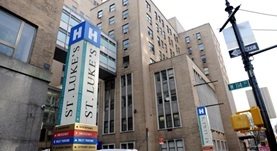 Dr. Andrew Kaufnam is one of the best thoracic and cardiac surgeons in New York. 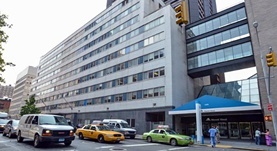 At NYU School of Medicine, he got his medical degree and after that he went and completed two residencies. 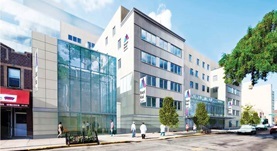 The first one at NYU School of Medicine, and the second one at Weill Cornell Medical Center. He completed his fellowship at Memorial Sloan-Kettering Cancer Center and has been in practice for 20 years. 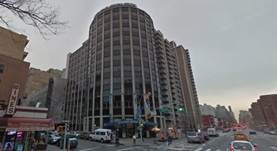 He is currently affiliated with several hospitals including Beth Israel Medical Center and Mount Sinai Hospital. Dr. Kaufnam is certified in both surgery and thoracic and cardiac surgery. Dr. Andrew J. Kaufman has contributed to 3 publications. Taioli, E.,Wolf, A. S.,Camacho-Rivera, M.,Kaufman, A.,Lee, D. S.,Bhora, F.,Flores, R. M.; J Surg Oncol. 2016 Feb 13. Role of Human Papillomavirus and p16 Staining in a Patient With Head and Neck Cancer Presenting With a Synchronous Lung Nodule: A Case Report and Review of the Literat. Bonomi, M.,Abbott, R. W.,Patsias, A.,Misiukiewicz, K.,Demicco, E. G.,Zhang, D.,Kaufman, A.,Genden, E. M.,Posner, M.; J. Clin. Oncol.. 2014 Mar 05.